This section covers the varied range of handbags on offer. Just click on the categories below to see B for Bag handbag selection. You can use the product search to look for your ideal bag or use the filters at the top of each category to search by brand, retailer and price range. Handbags are somewhat personal. They store our personal belongings and in a way say a lot about us. There are fashionable, trendy, classic, practical, vintage, designer bags... everyone can find the right handbag to fits her style and personality. Totes are large carry bags, i.e. 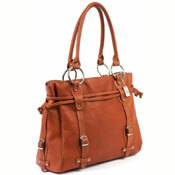 allowing you to carry item too large or heavy for a traditional handbag. 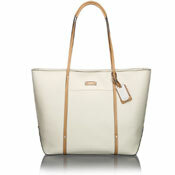 Shopping tote is a classic example but you can find totes that are both stylish and practical. Some women prefer tote to handbag when going about their everyday life. Messengers are worn over one shoulder with a strap. You can wear them on one shoulder or over the chest, allowing the bag to rest on the lower back, which is great when carrying heavy items. Access to the bag is also easier than if wearing backpack. Messengers are popular by trendy young city dwellers of both sexes. Many cyclists also prefer messengers to backpacks. 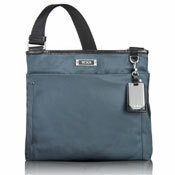 Organizer handbags come in many shapes and sizes but all help you to keep your belongings organized. Organizer bag usually have number of internal and / or external compartments, some closed and others open. 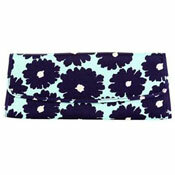 They are popular among travelers and others that like to stay organized. Diaper bags are extremely practical if you are looking after young baby. Baby diaper bags typically have many compartments and are big enough for everything you need when taking a baby on an outing... while still small enough to fit under most strollers or buggies. 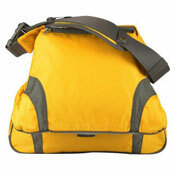 There is a vast variety of baby diaper bags these days. You can easily get a bag that you can happily use after your child stops needing diapers. 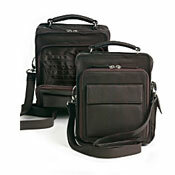 Men bags have become increasingly popular but they are what they say, bags for men. Even though the bulk of man bags tend to be quite conservative, the variety is increasing fast as more and more men like to wear man bag for their personal belongings. 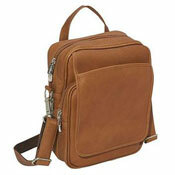 Messengers and laptop bags are still most popular but you can now get man bag for almost every man. Wallets for both sexes come in various sizes and shapes. 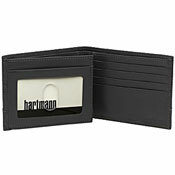 Nothing beats the classic leather wallet but you can also get stylish and trendy wallets in other materials and colors.